We welcome you to a happy, productive and engaging 2019. The year started well on our learning platform with the award of new scholarships. The lucky participants were chosen by a lottery system among 248 applicants. The winners will be enrolled in the first upcoming session of the Basic SCM Principles course or our flagship Procurement course (in English or French). We celebrate that there is so much interest in online education for health supply chain management, and hope to be able to continue offering such opportunities this year. The year also started busy and well for our cohort from Ghana. Eight different supply chain courses were there to complete before the end of January. Their activity online has been exceptional and will be rewarded with many certificates. 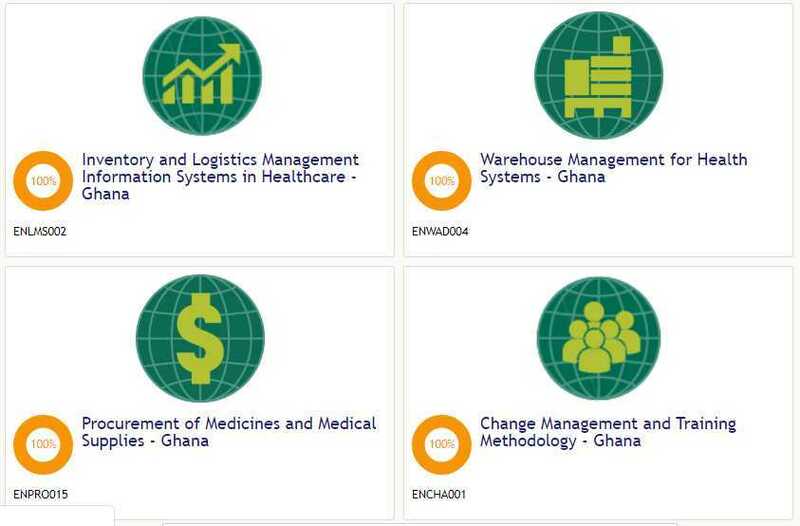 Various levels of the public health supply chain were involved in this capacity-building effort which will surely reflect on the quality and efficiency of the Ghana public health system as a whole. Finally, we like to share with you our calendar for the first semester 2019. We hope to see you around in 2019. Do not hesitate to write to us with your suggestions, comments, or just to share your experience. Visit the timeline on www.iplusacademy.org.